A baby, an appendix, and a book…oh my! Two days after she arrived home, my beloved Christopher Robin fell ill. We first believed it was food poisoning, so he gave up all food and slept for a day. The next day, I decided it might be appendicitis. I was right. It was a very terrible case of appendicitis, about as bad as you can get and still survive, and he spent four days in the hospital, then another ten days at home in bed. I made periodic trips to kiss Amara, but mostly, I urged CR to drink more tea, and eat eat eat eat….! 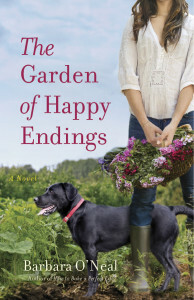 On the work front, I’m juggling three projects: the first is the arrival of The Garden of Happy Endings as a real live book in stores and ebook readers near you on April 17. There are signings, conferences, blog tours, giveaways, and I hope you’ll check them out. I will have a schedule up next week sometime. I love this book very much, and hope you will, too. It showed up nearly whole, throwing down a gauntlet that kicked my rear all through the spring and summer last year. 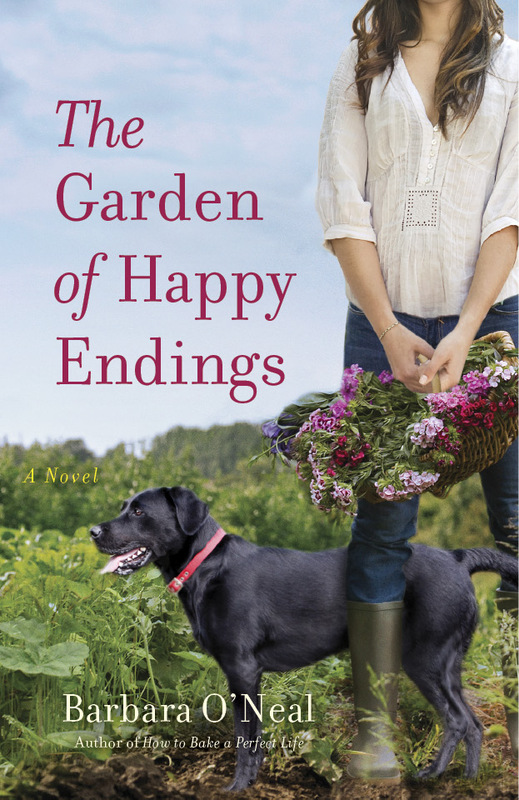 There are gardens and dogs and sisters and a woman who became, through her courage and questing, one of my favorite characters ever. Second project is finished: the rough draft of my online serial novel The Mirror Girl, the first book in a three-book YA urban fantasy/sff series is finished! The third is the book for next year, involving all manner of research and food and the losses we think we can’t possibly survive, and the people who help us through–fathers and friends, animals and love affairs, hobbies and work we love. Very engaged and excited about this book. 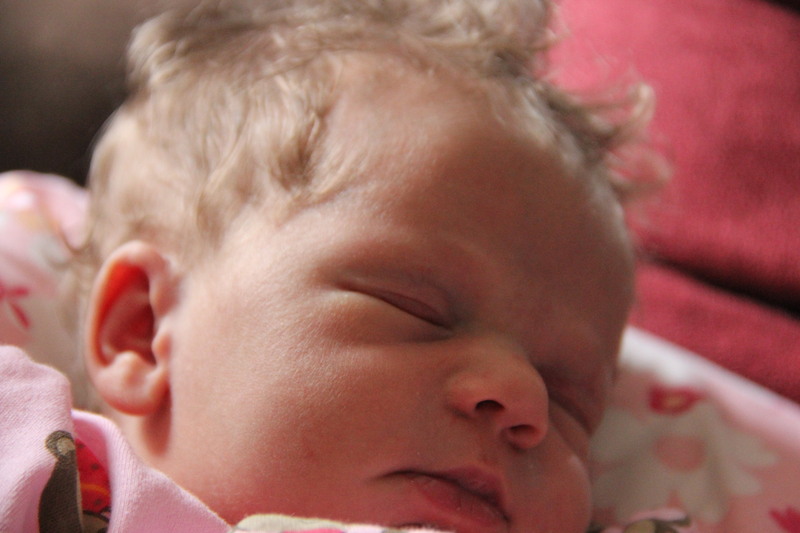 And it might be true that time I might have spent blogging has been spent kissing the downy cheek of a little girl. Wouldn’t you kiss her, too? Bookmark this article A baby, an appendix, and a book…oh my! Congratulations Gramma! How wonderful for you. She’s lovely. I bet that as she gets bigger and figures out how to do it, she’ll have lots of stories to tell you. And I’m so glad to hear that Christopher Robin is out of the woods (…sorry, couldn’t help that one, but I did avoid using the number 100 and saying anything about acres…). Gorgeous! Congratulations to you both. I became a grandma just over two years ago and it’s a joy. Second arriving in June. Oh my goodness, look at those curls! Beautiful! And she is close enough to visit everyday…how wonderful! Congratulations on becoming a grandma, Christopher Robin surviving and finishing your book. I hope your book tour includes a nearby town and that I am in town then. Will be in Texas the second half of April. I have an unexplainable connection with you. I clicked on this site after months of not having time to visit, and I find that you have just updated your blog…and with wonderful news at that. It has happened before too. 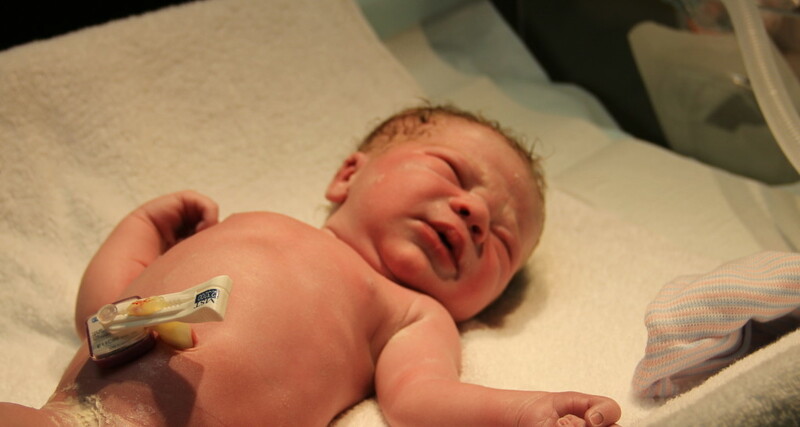 Congratulations on the beautiful grandchild. Love her name. So glad your husband is doing so well. You’ve have an exiciting start of the new year. What a beautiful girl! And a huge relief that CR is on the mend – very scary for both of you. Looking forward to Garden…. What a busy winter for you! I hope you can soon settle into grandmothering, gardening, and writing the next book. She’s such a beautiful baby! Congratulations to you and your family! I’m really sorry to hear about CR – but incredibly grateful that you caught it in time. I remember the night my mother’s appendix burst…she almost didn’t make it. Here’s to timely action! Congratulations on your beautiful new grandchild and I’m glad to hear that CR is well on the mend. Interesting blogÉ and post. Looks like you know what you are talking aboutÉ. or do you? No just kidding. great stuff. I will recommend this site to friends.